Randa Lee Roberts was born in Tallahassee, Florida and grew up in Monticello, Florida living briefly in both Maryland and California as a young child. She attended both Aucilla Christian Academy and Leon High School while dual-enrolled at Florida State University. After graduating from high school she attended Tallahassee Community College earning her Associate in Arts. She then attended the University of Florida earning her BA in Elementary Education and MA in Early Childhood Education. 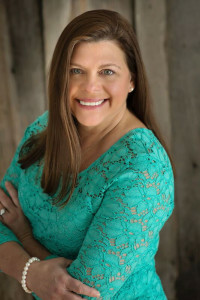 After her first year of teaching, she returned to Florida State University and received a Specialist Degree in Educational Leadership and Policy followed by The University of West Georgia obtaining a Specialist Degree in Educational Leadership as well. She, along with her fiance', recently returned to their home state of Florida, while her youngest son prepares for his next great adventure in the United States Coast Guard. Her oldest son already serves in the United States Navy as a Nuclear Engineer and is stationed in Charleston, South Carolina. Randa first knew of her desire to become an author at the young age of twelve. She continued to follow her dream of becoming a writer and published her first children's book, Liver for Dinner, in 2010 which will be re-released this November 2016 just in time for the holidays. She continues her desire to write and does so in her blog, Childrentopics.com, where she writes articles to assist parents, teachers, caregivers and children on topics that are relevant to various issues that exist in the lives of most family's in their everyday lives. Randa released her first non-fiction book, Surviving Cancer: A Caregiver's Guide to Survival One Step at a Time in February 2016 which details her journey as a full-time caregiver to her late-husband who was diagnosed with brain cancer. This book is followed by Get the Real "Skinny" on Healthy Weight Loss: Commit to a Lifestyle Modification and Get Results, in March, which focuses on making modifications to one's lifestyle to include diet and exercise plus tips and suggestions to incorporate into one's life to achieve long-term results and enhance one's overall health and wellness. On the heels of this book is a 5-Volume parenting series with parenting tips, effective methods for raising independent, healthy, happy and well-adjusted children in the collection entitled, Children Topics from A to Z: A Guide for Tackling Tough Issues with the first volume released April 24, 2016 following by Volume two being released in May and Volume 3 in September. She doesn't stop there, however, as she launches a little something for the kids over the holidays, Liver for Dinner. She then reprises her parenting series in March and May 2017 with Volumes four and five.